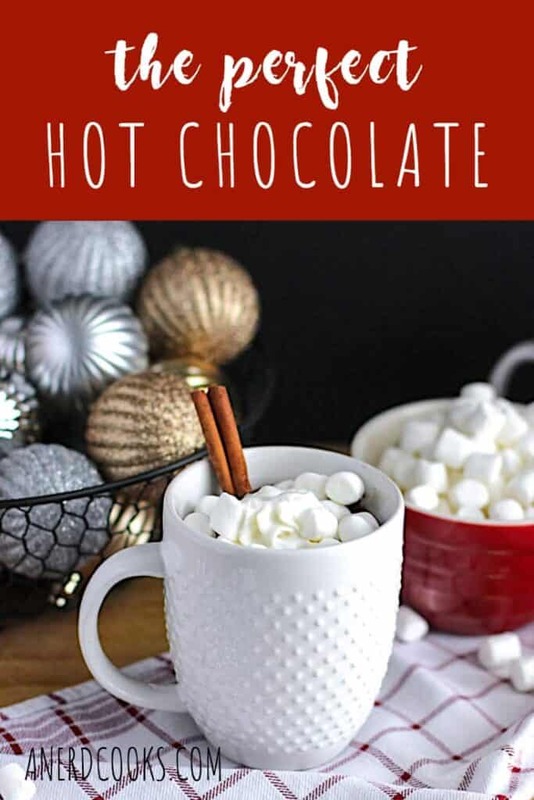 This is the perfect hot chocolate. There, I said it. It is rich, creamy, and delicious, and will put you in a cozy, wintry state of mind. First day back at work after the holiday? Yeah, I feel that pain. 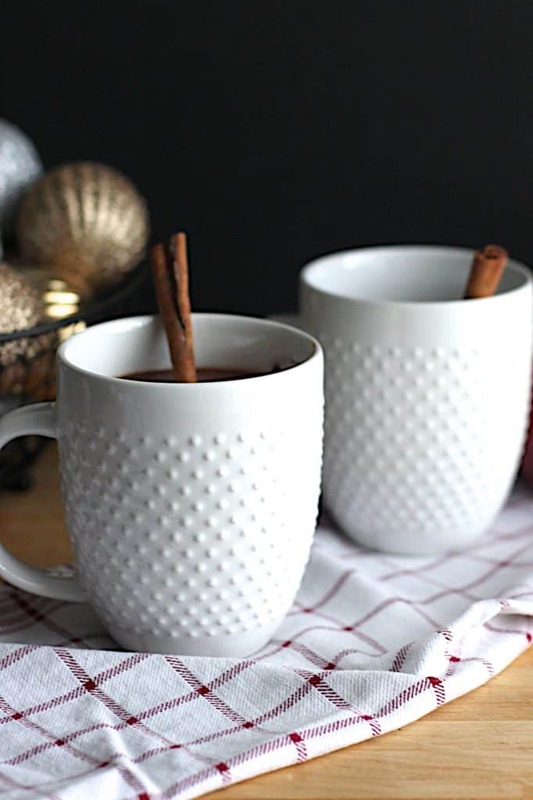 May I suggest clinging to the holiday season with some decadent hot chocolate? Even though a good portion of the country has been unseasonably warm lately, it’s finally in the 30s in Western Pennsylvania (where our families live). 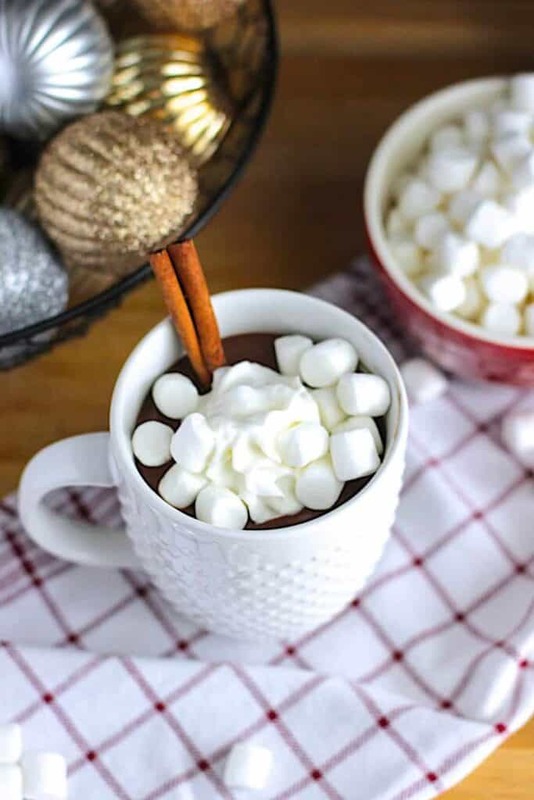 In addition to avoiding the return to reality, this little bit of chilly weather is as good an excuse as any for enjoying this easy, perfect hot chocolate. I’d highly recommend that you snuggle up under some blankets with a cuddly dog or two and sip away on this hot chocolate! You should also check out these Hot Chocolate No Bake Cookies while you’re at it. In a medium sauce pan, heat the milk over medium heat until bubbles just begin to appear around the edges. Add the dark chocolate, cocoa powder, sugar, salt, and vanilla extract. Whisk occasionally until everything is melted and combined. Add the cup of mini marshmallows and whisk until they melt into the hot cocoa. 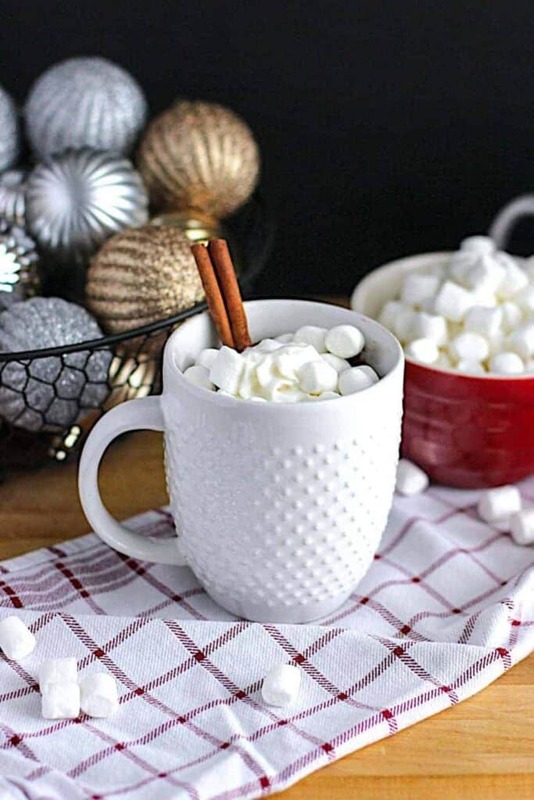 Ladle the hot chocolate into mugs and top with whipped cream, more marshmallows, and a cinnamon stick, if desired. I've used 2% and almond milk. Both worked very well. In love with the beautiful photos of the hot chocolate and the bowl of what I think are ornaments in the background 🙂 They make me want to go drink some hot chocolate RIGHT NOW! Wow! These chocolate is looking beautiful. My kids love chocolate very much. 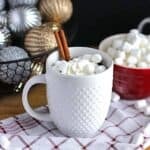 So I want to try this hot chocolate recipe for my kids! Thanks for sharing!